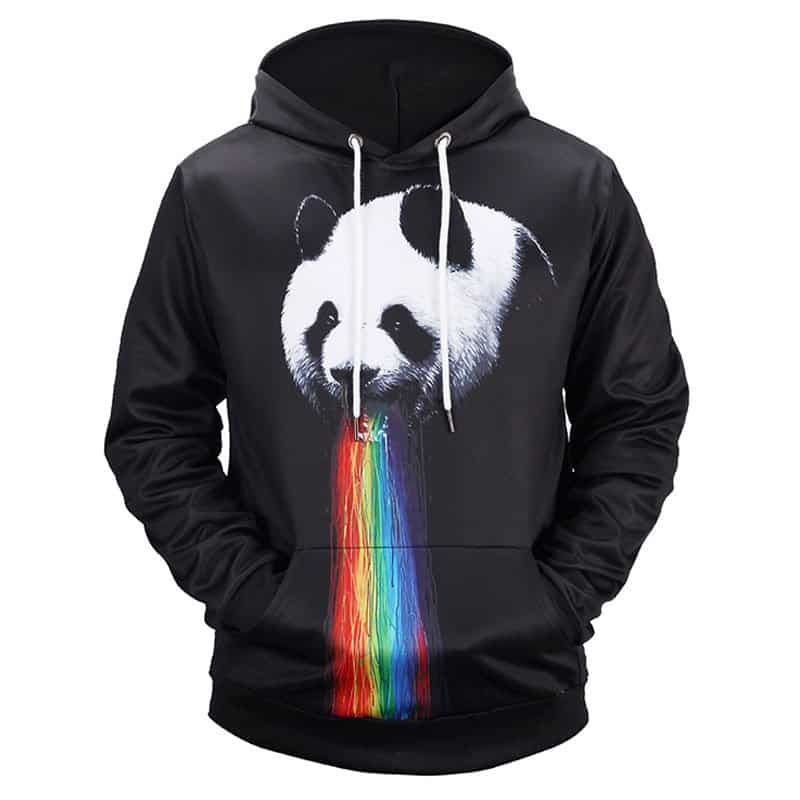 A cool albeit slightly odd concept of a rainbow waterfall coming out of a pandas mouth. 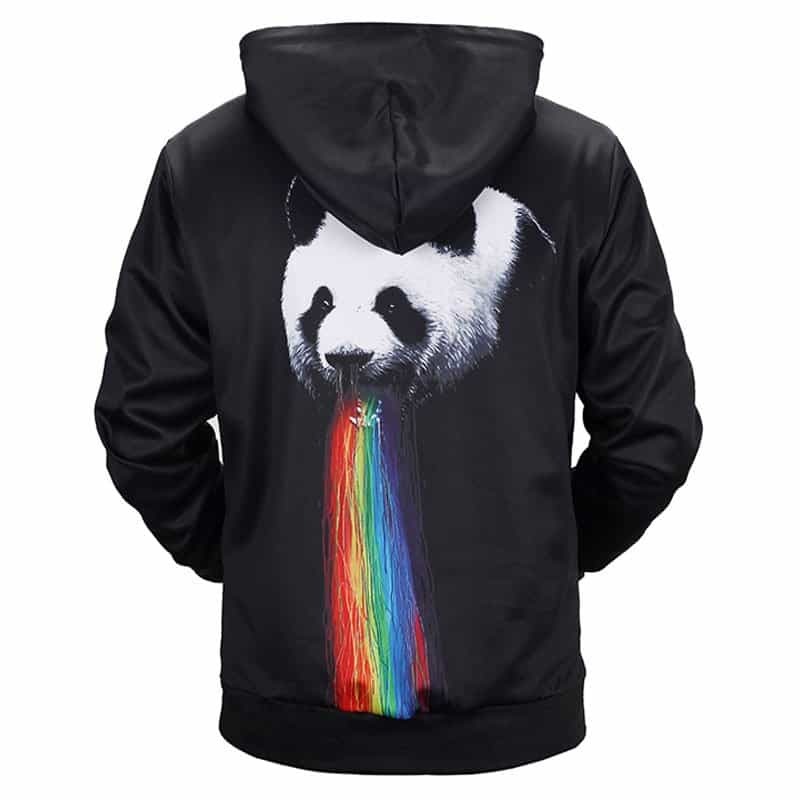 We therefore named this: Rainbow Panda Hoodie. The backdrop is a solid black and the print of the panda features on both the front and back. The hoodie is comfortable to wear, looks fashionable and is wearable anywhere. It was designed for both male and female.